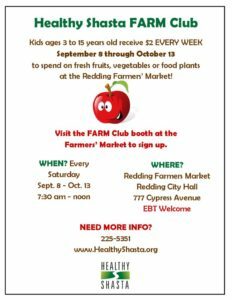 It is time for FARM Club – Fun At Redding Market at the Redding Farmers’ Market, 777 Cypress Ave.
7:30 – noon every Saturday starting September 8 through October 13. Joining FARM Club is easy! An adult fills out the membership card. The kids 3 years to 15 years old receive FREE tokens worth $2.00. The first visit, members receive 2 – $2.00 tokens! 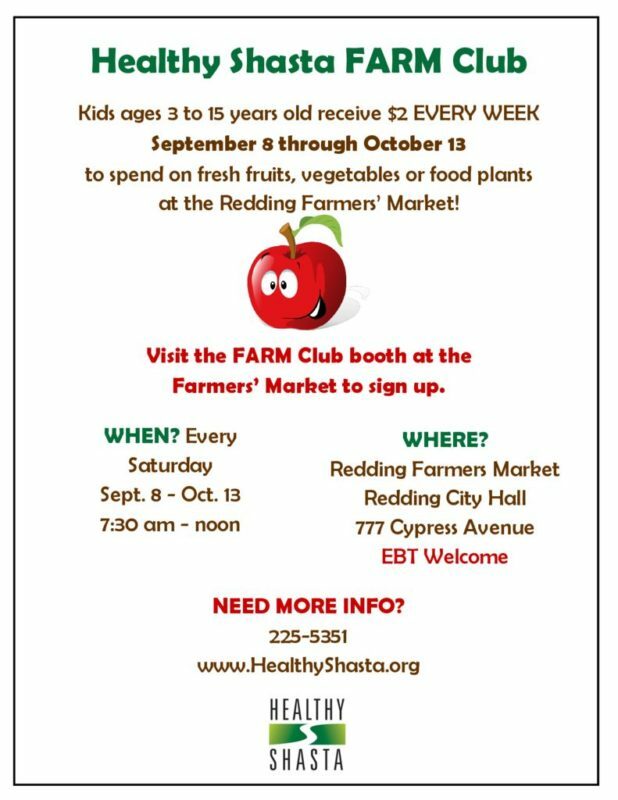 The FARM Club members shop for a fruit, vegetable or a plant that grows a fruit or vegetable. Visit us 3 times in 6 weeks and choose a free gift on your third visit.